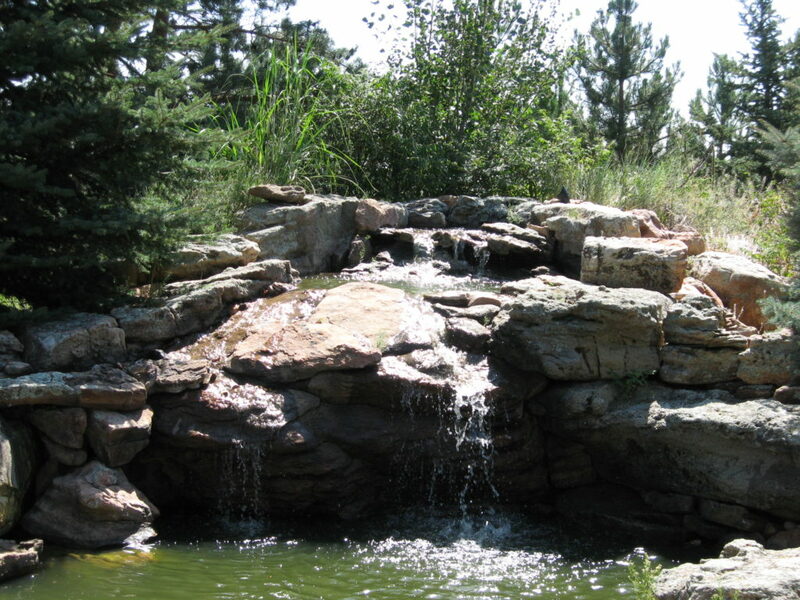 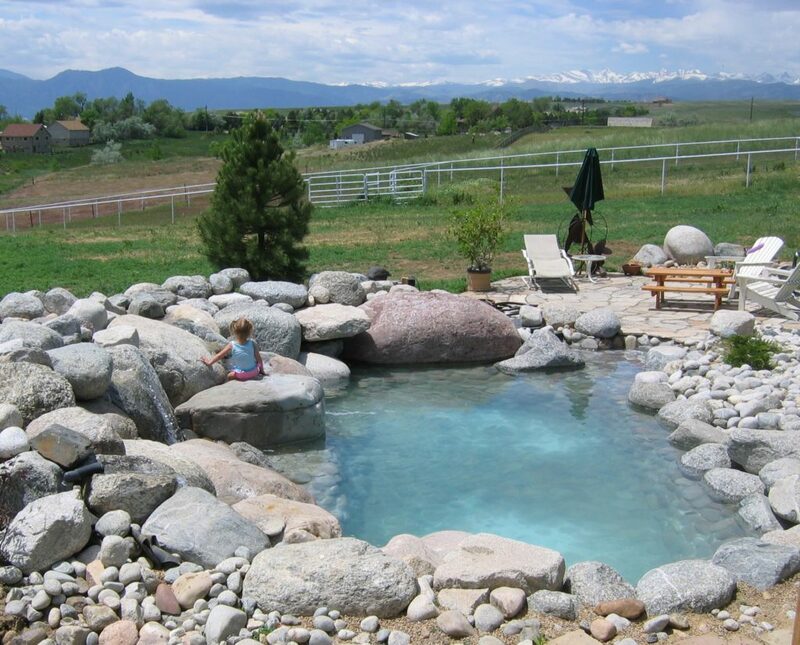 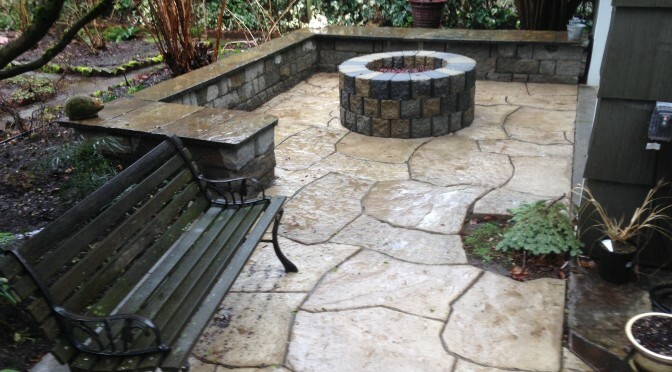 Fire Pits come in assorted options of materials, size and fuel source. 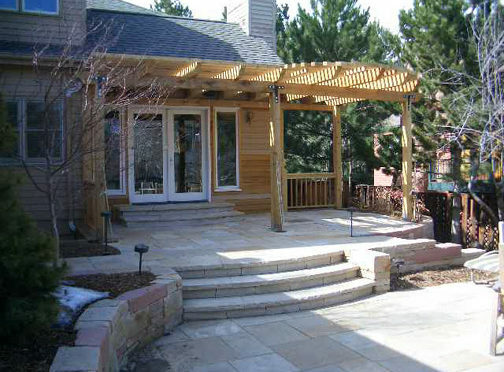 Here are a few options using natural gas, propane or wood fuel. 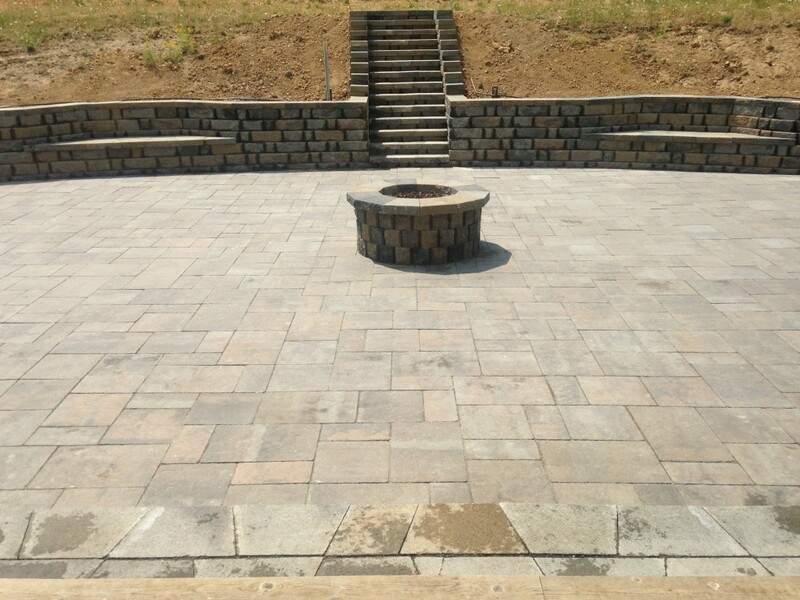 The choice of fuel for your Fire Pit can be adapted to your personal preference. 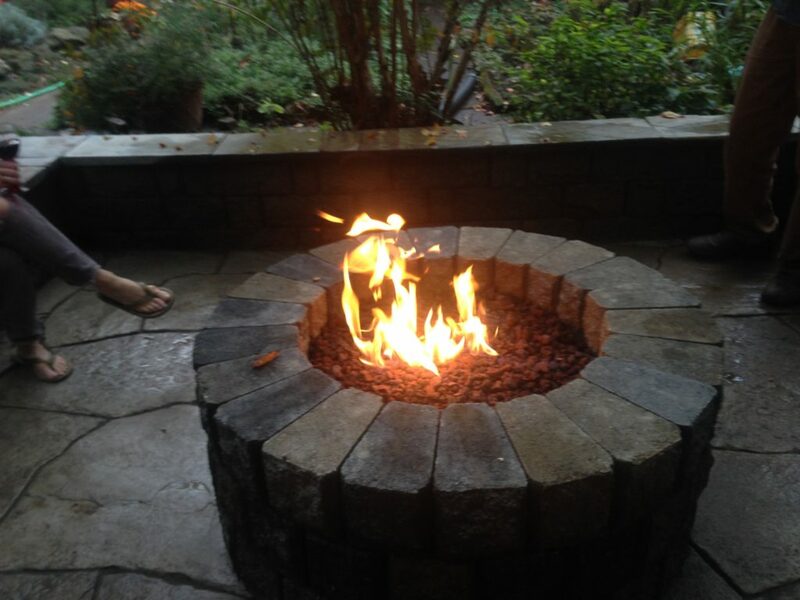 Everyone loves a wood fire. 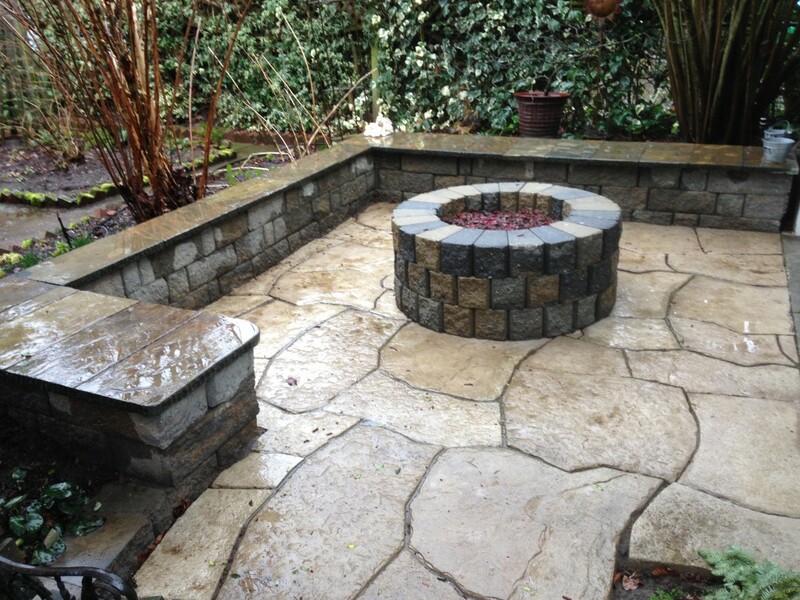 The size of your Fire Pit is also relative to the size of the fire you anticipate having. 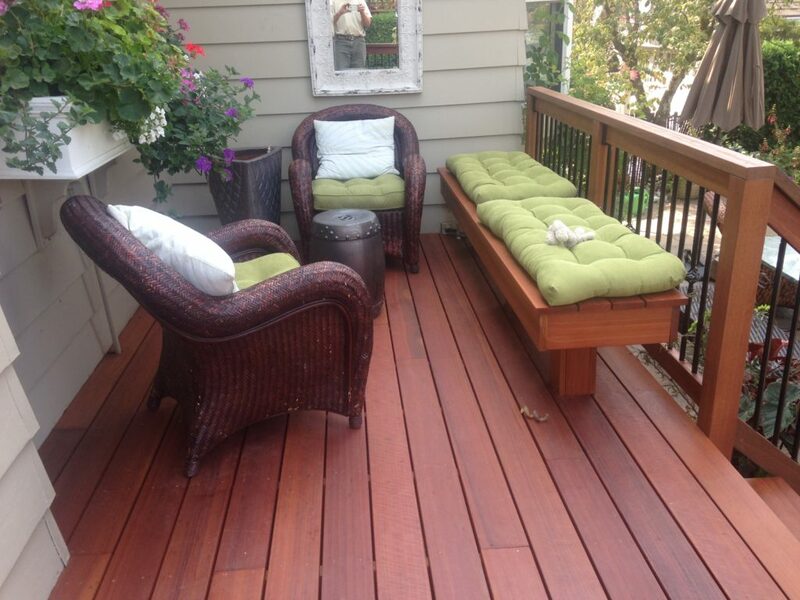 Set up seating as permanent, if you’d like. 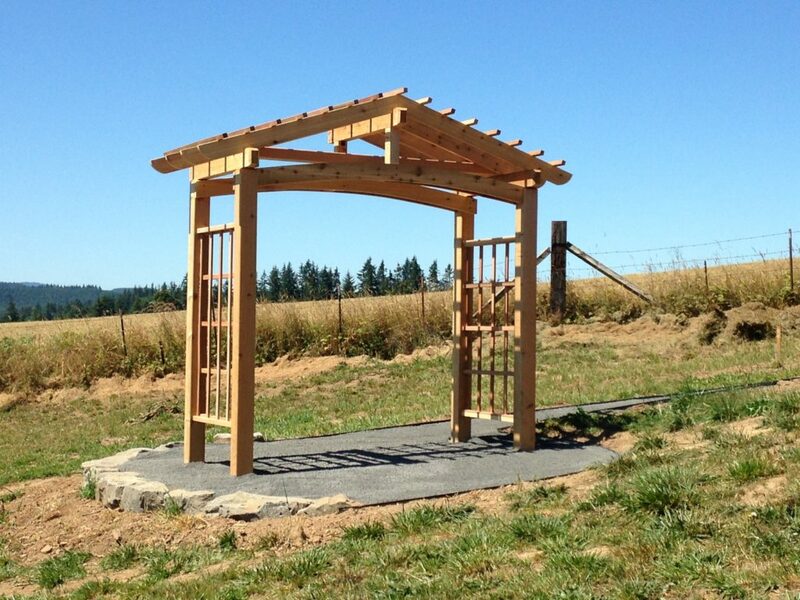 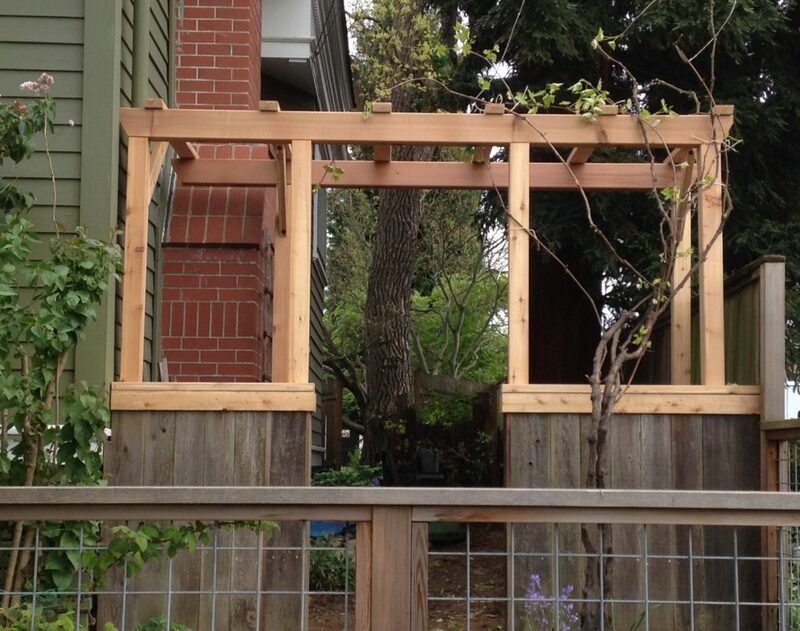 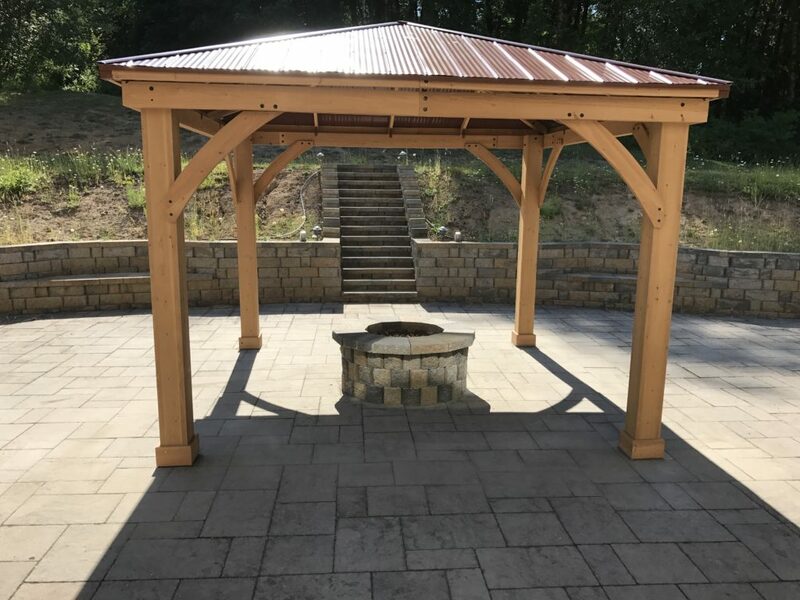 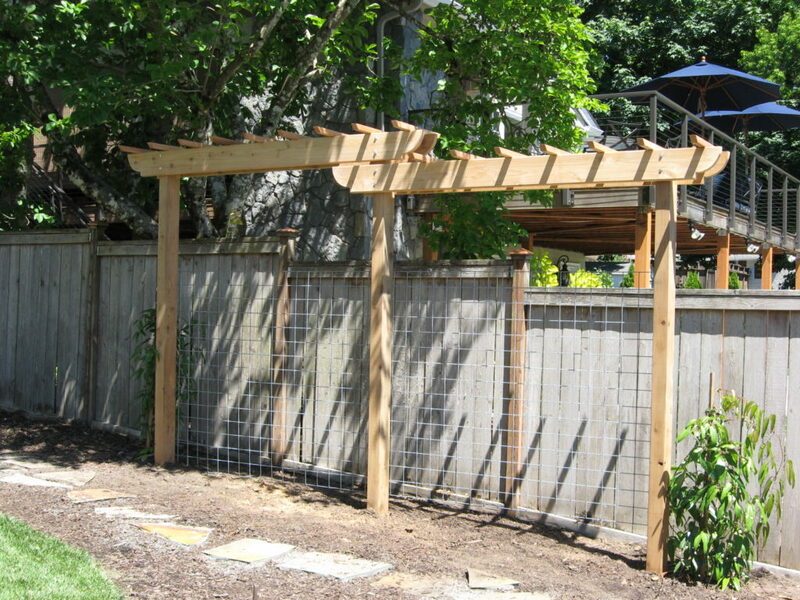 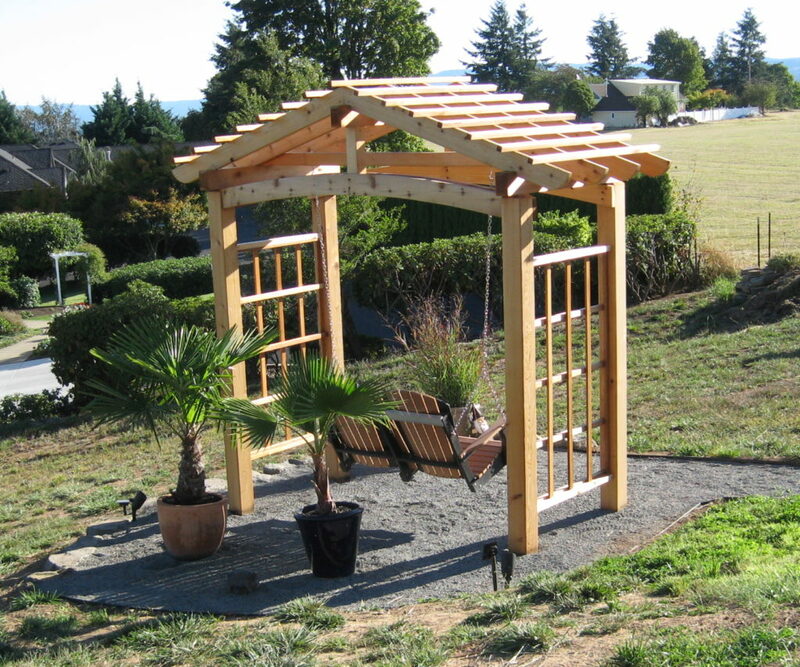 For gas fire pits, a pergola can cover the sitting area, though that is certainly not recommended for wood fires. 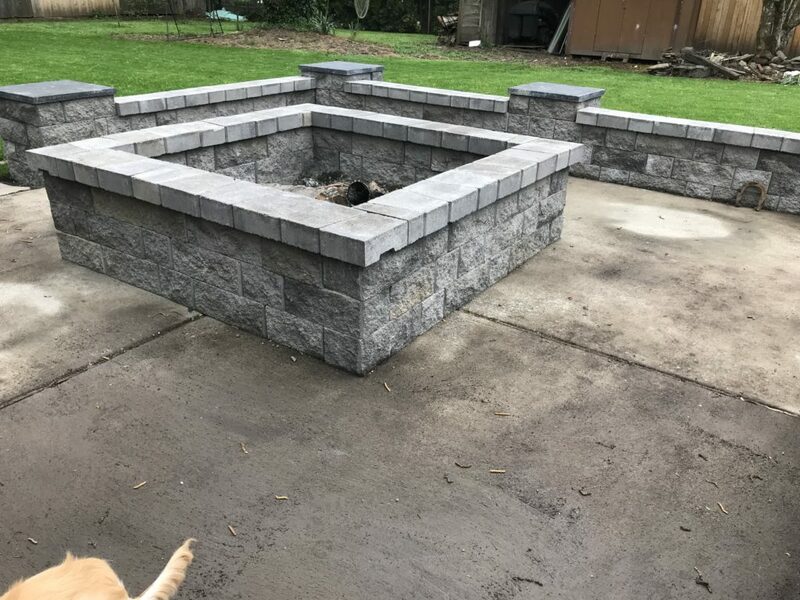 Two of the same Fire Pit. 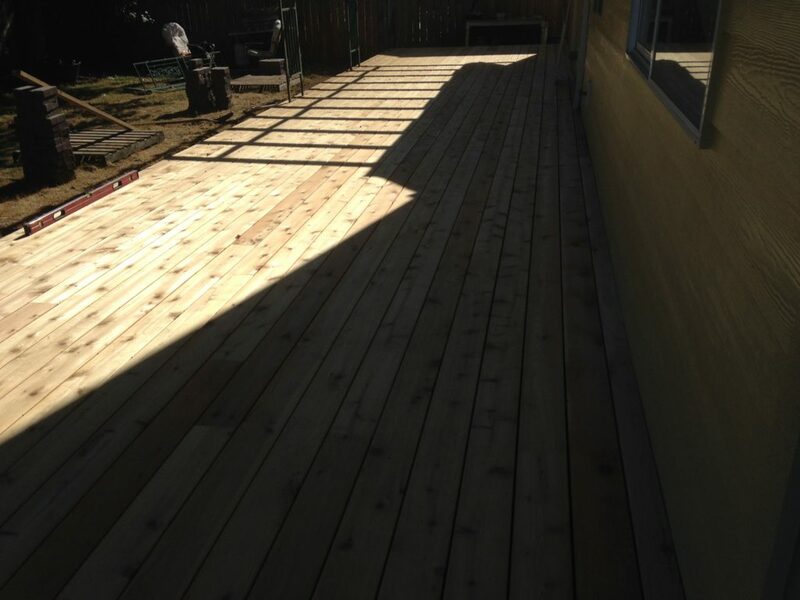 One set for Wood and the other for Propane. 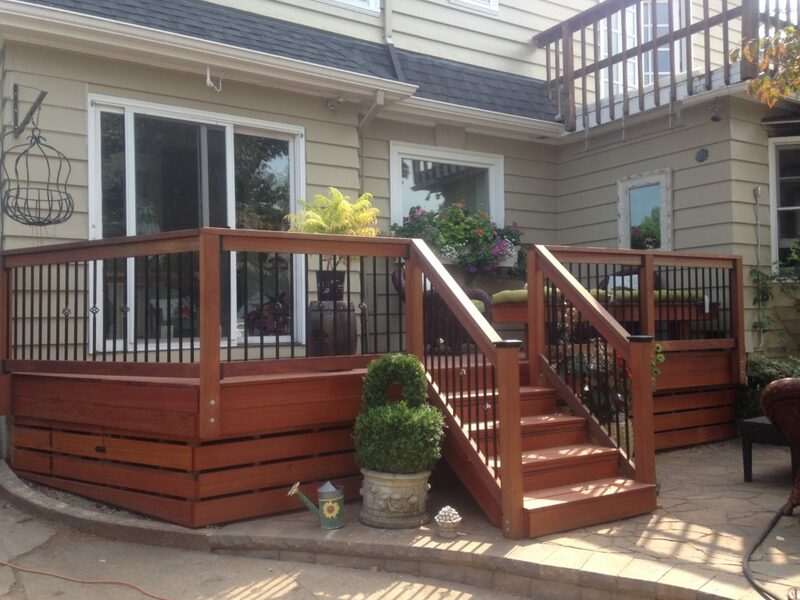 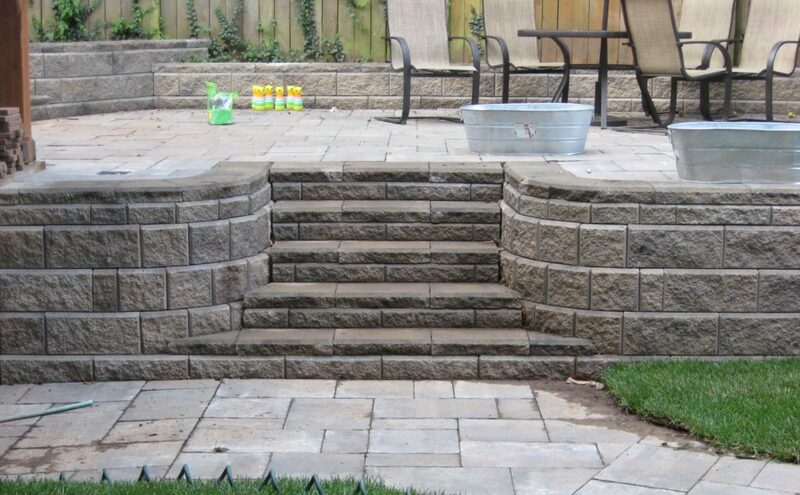 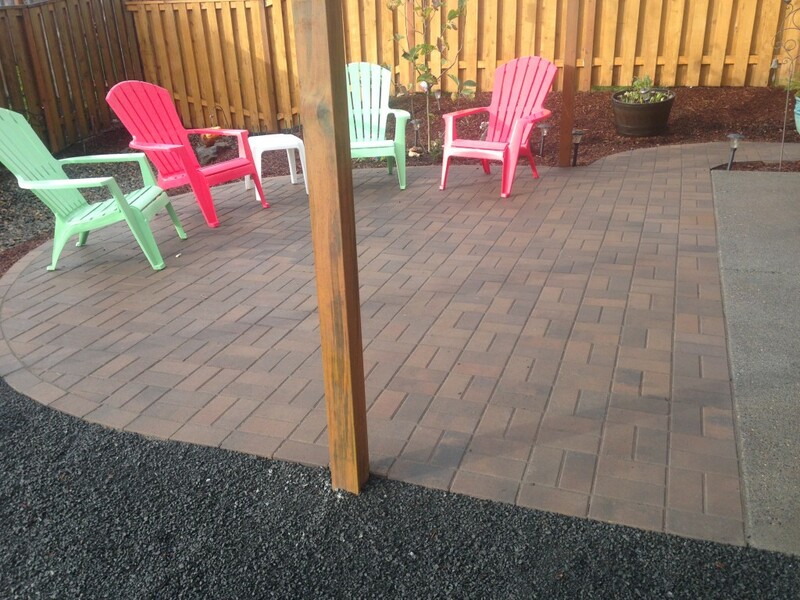 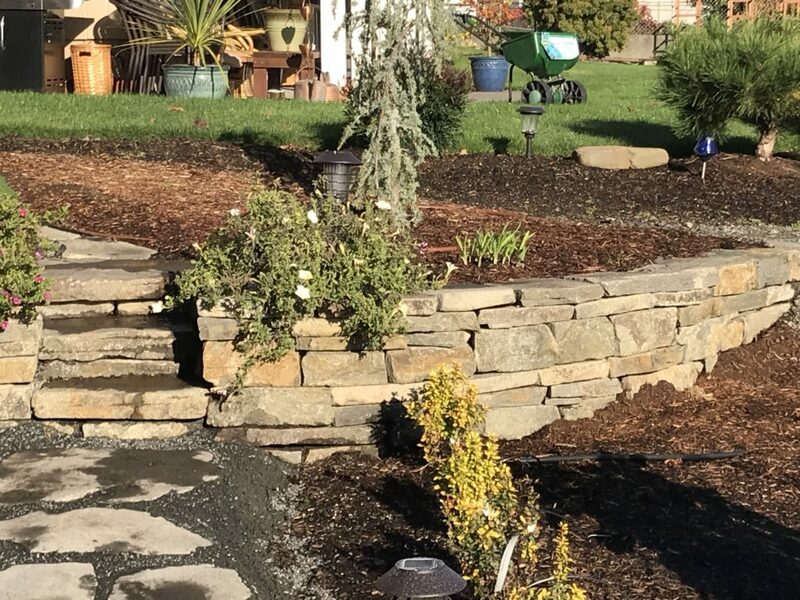 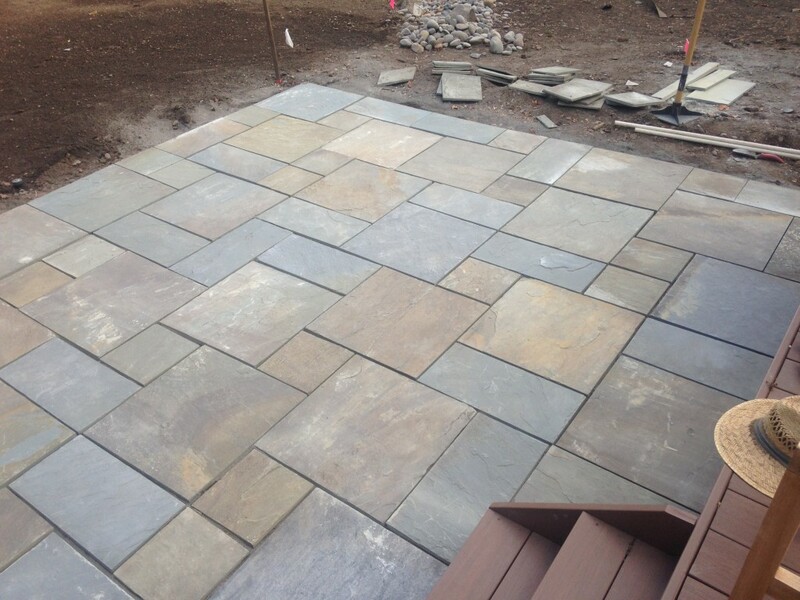 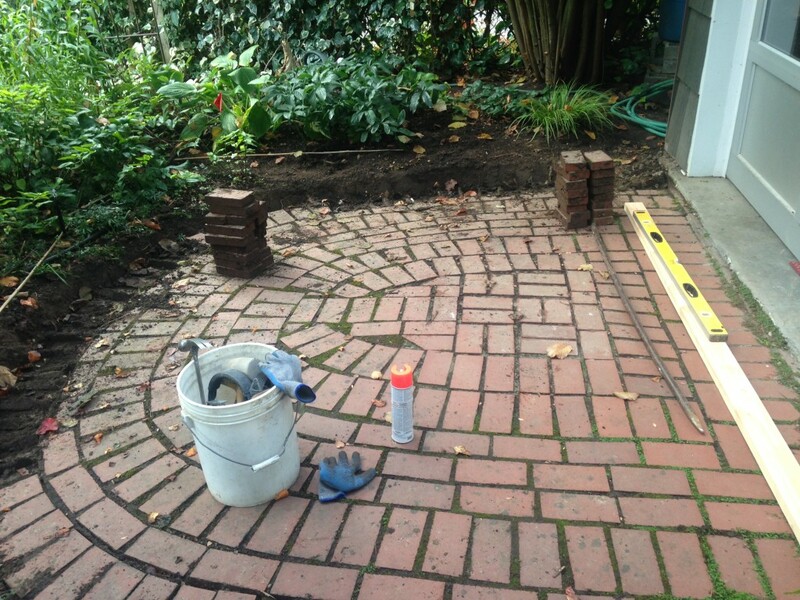 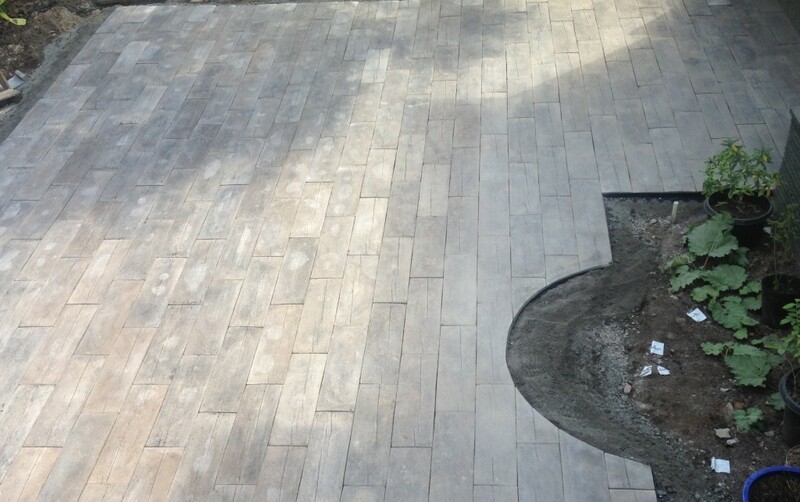 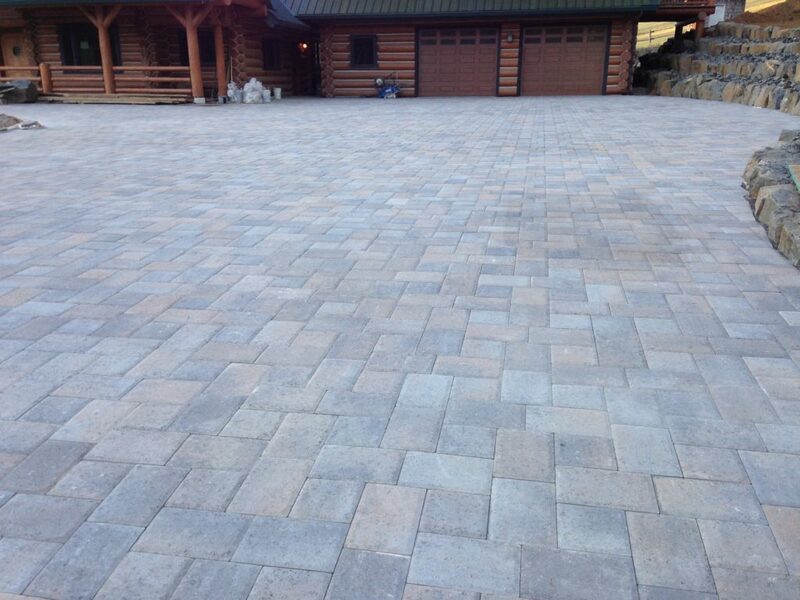 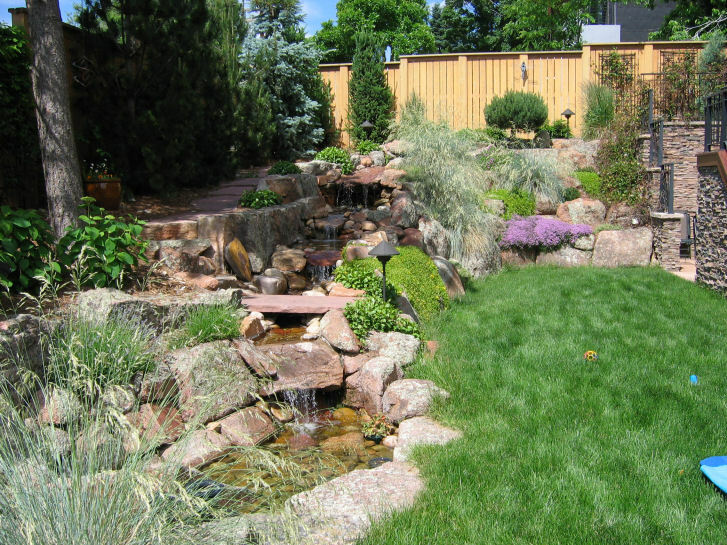 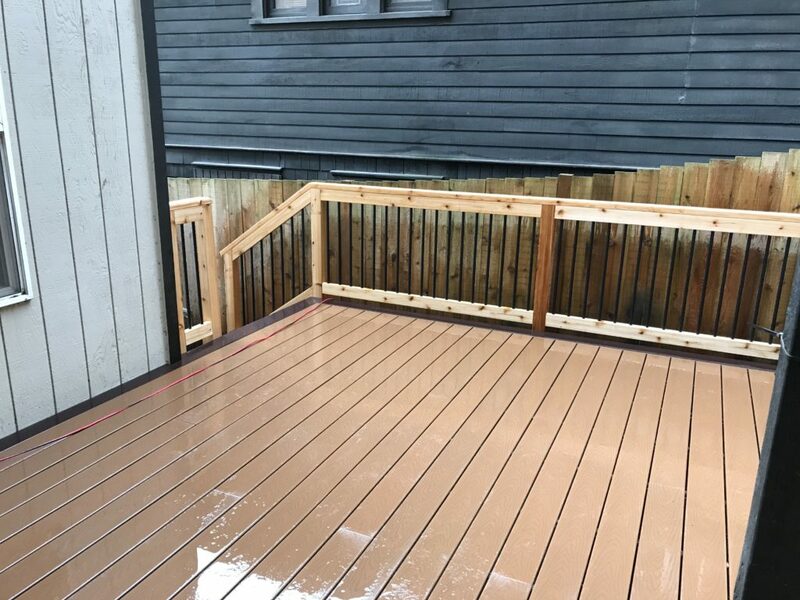 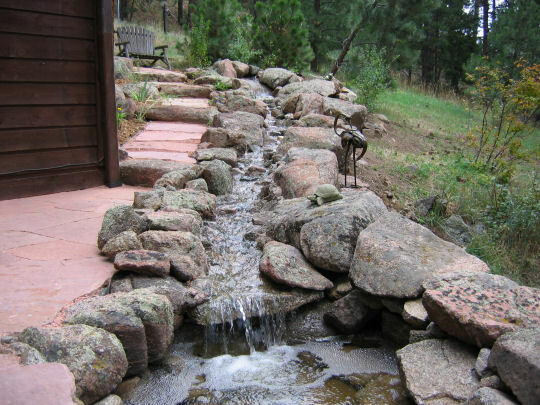 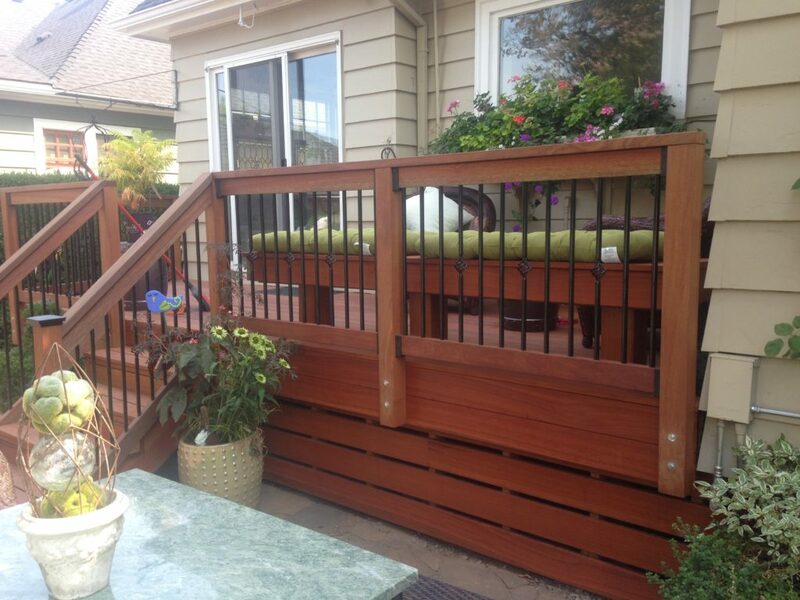 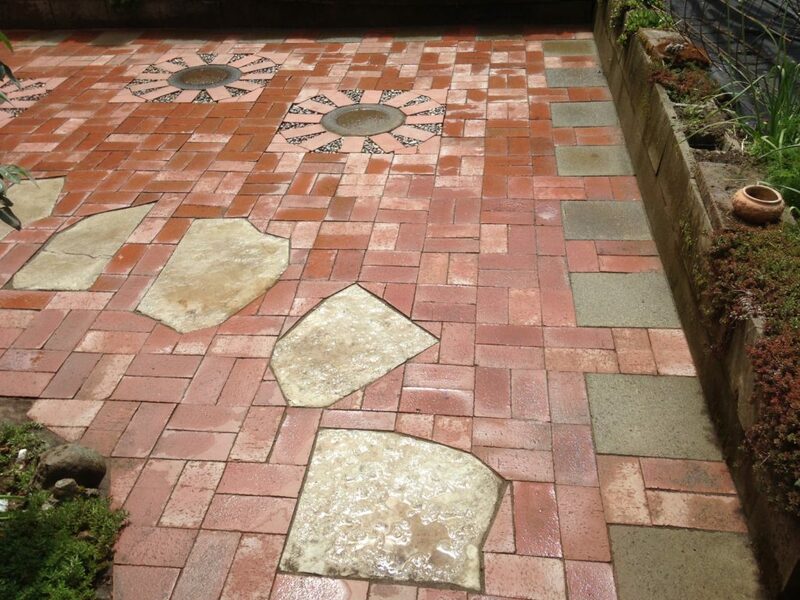 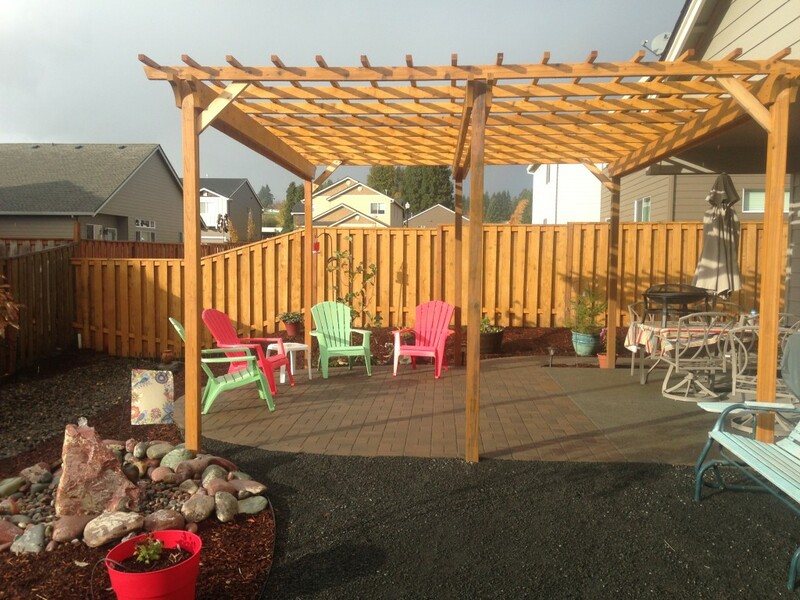 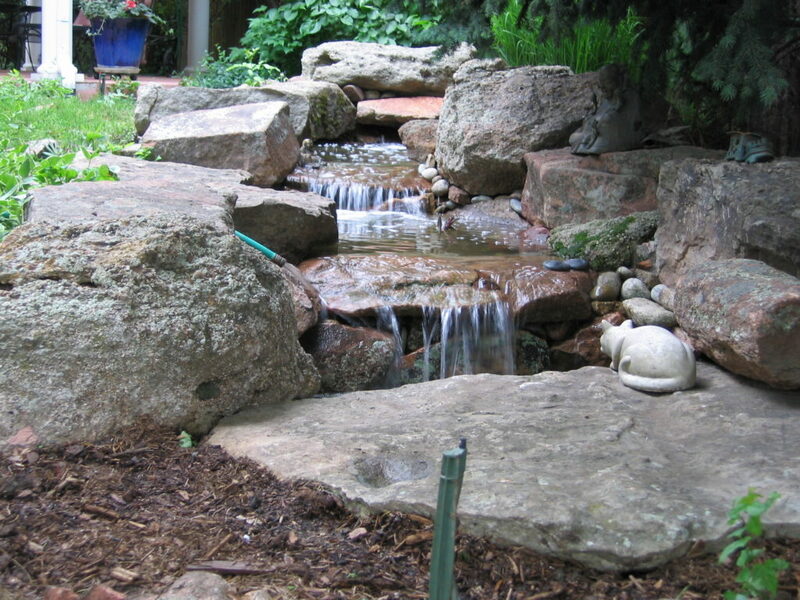 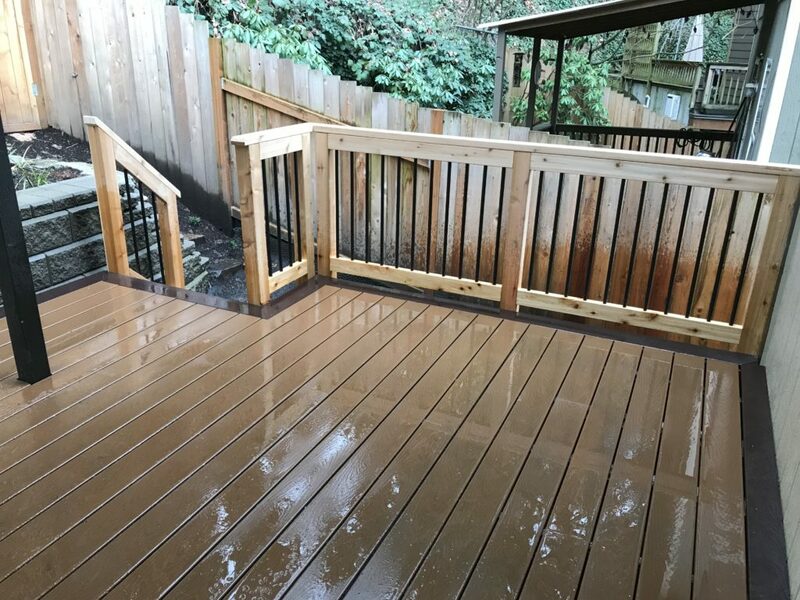 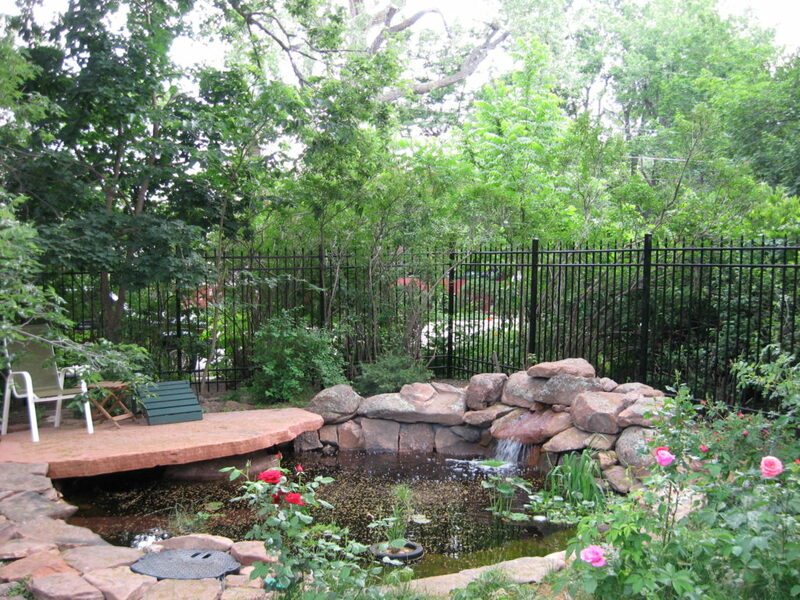 Let’s look at your existing patio or situation and see how to update and upgrade your patio. 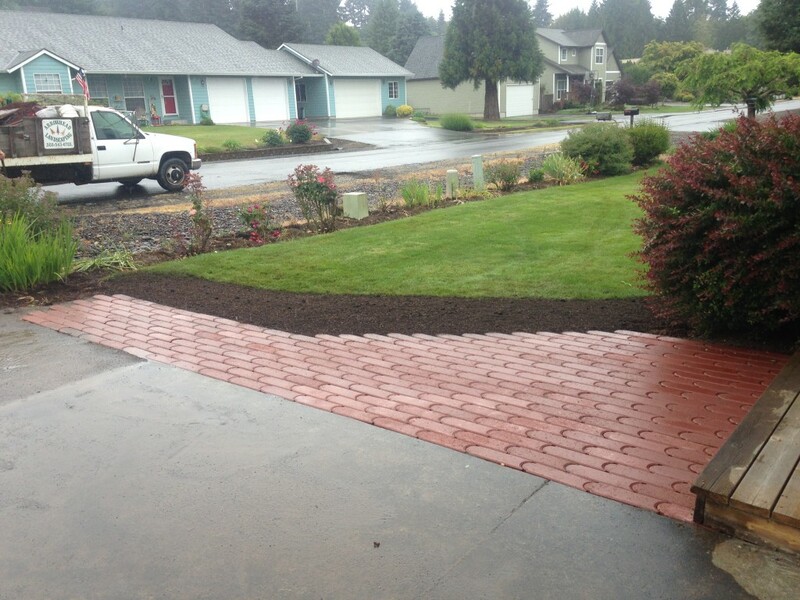 See the difference. 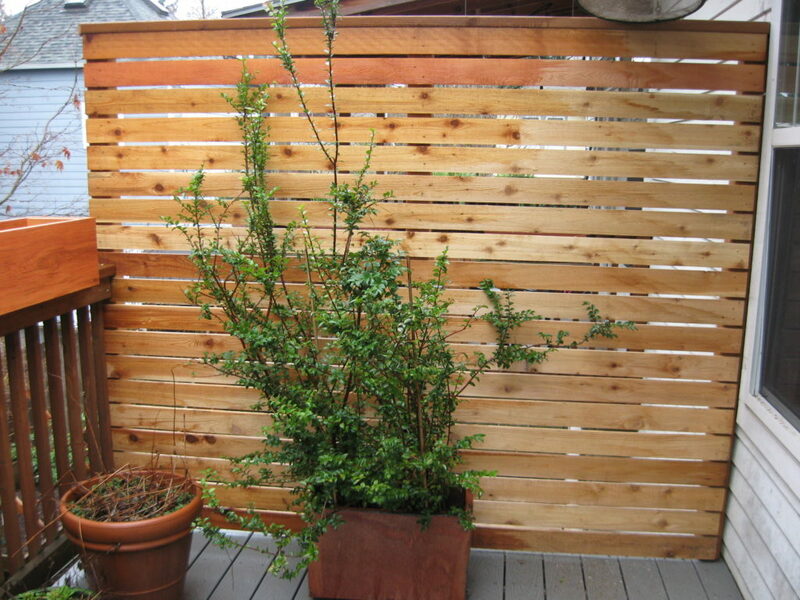 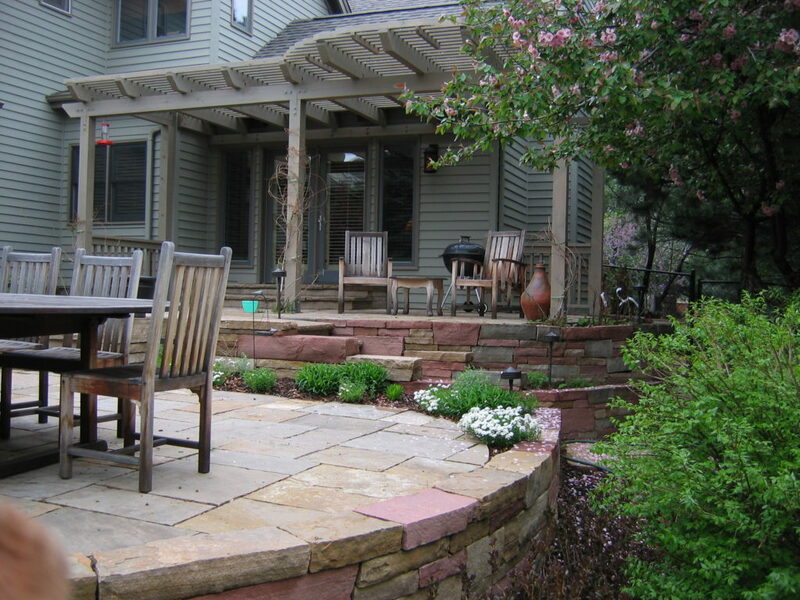 You can expand the existing patio, or replace it altogether. 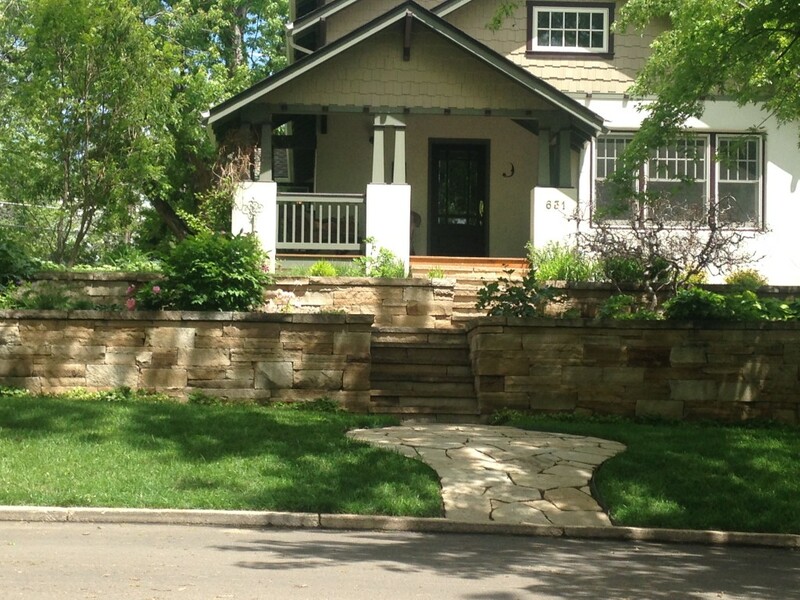 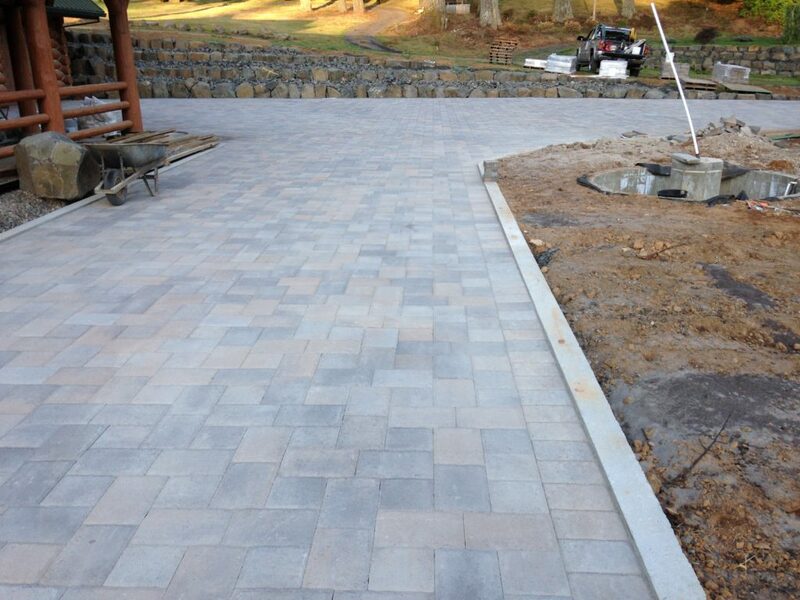 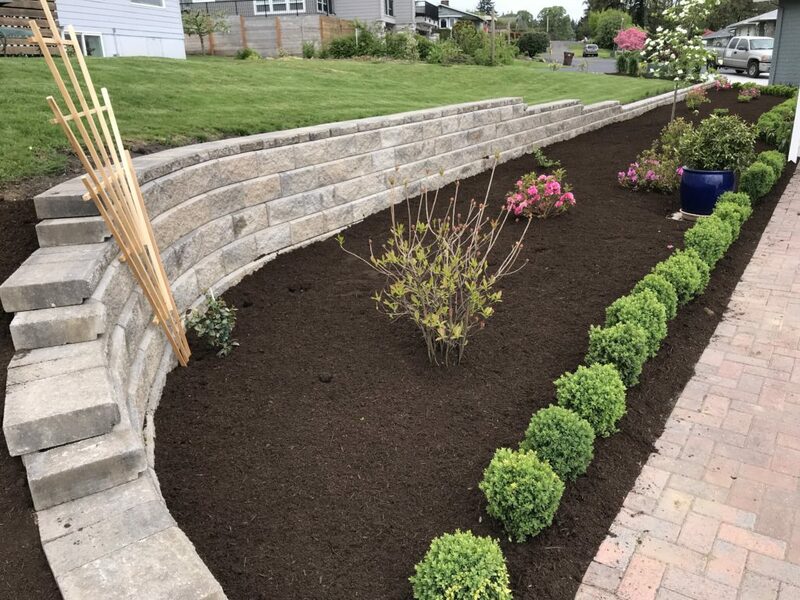 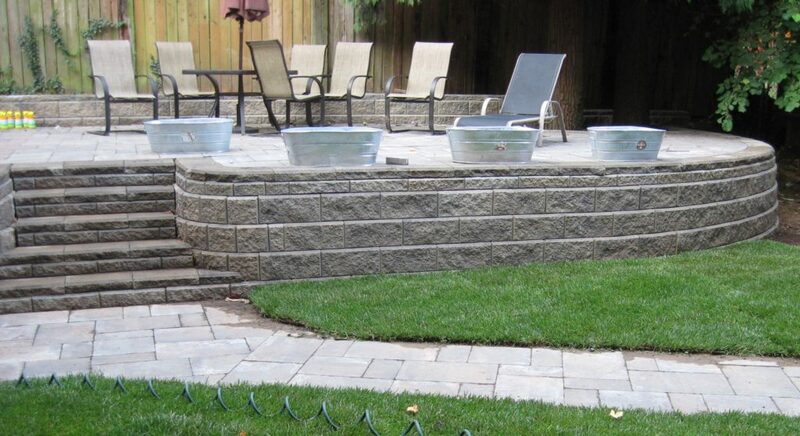 Rosetta Pavers with sitting wall of block and flagstone cap. 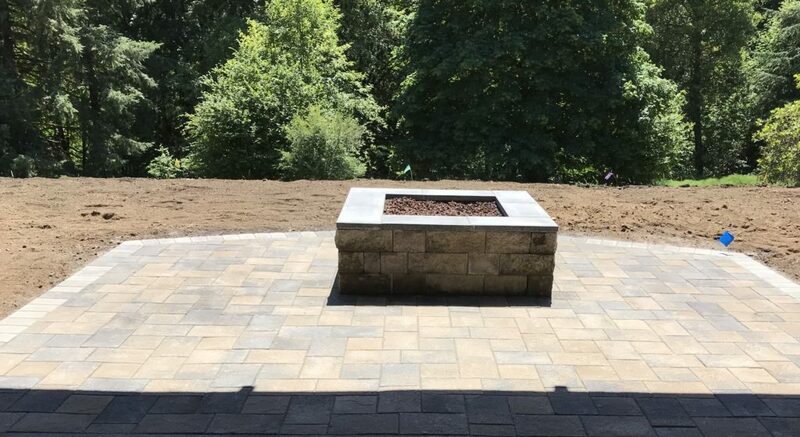 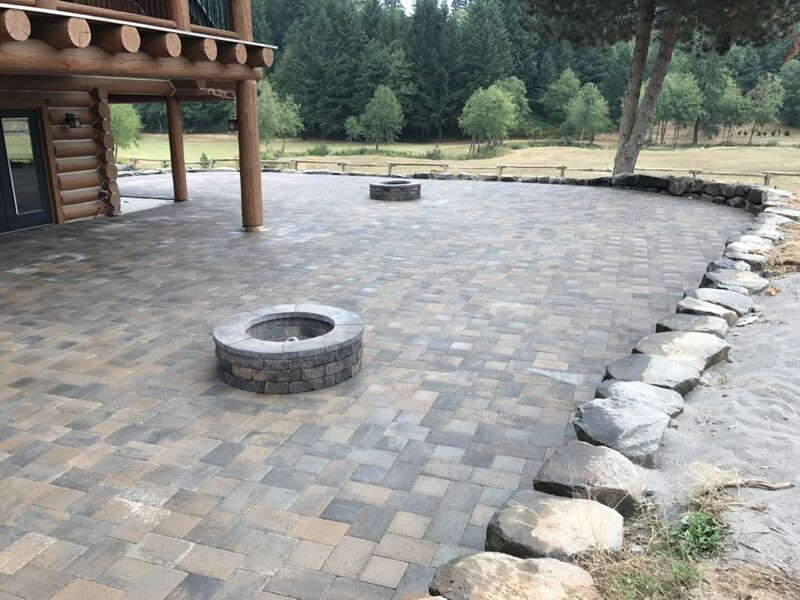 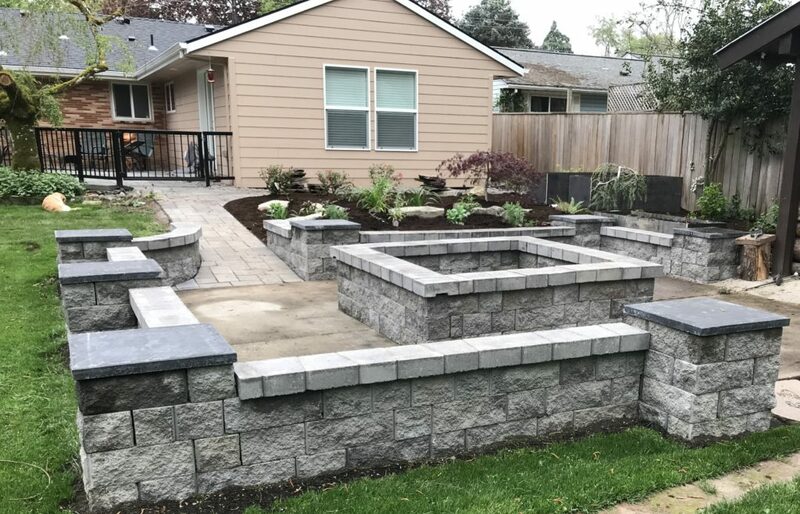 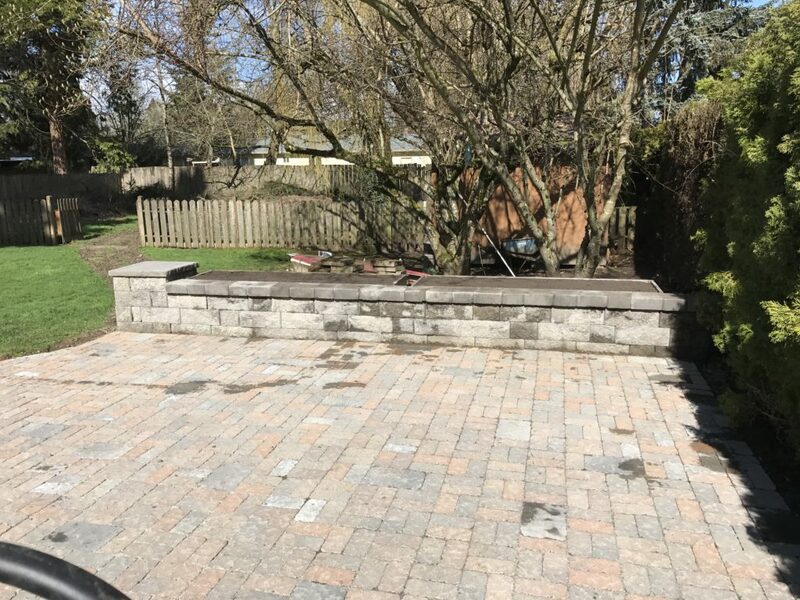 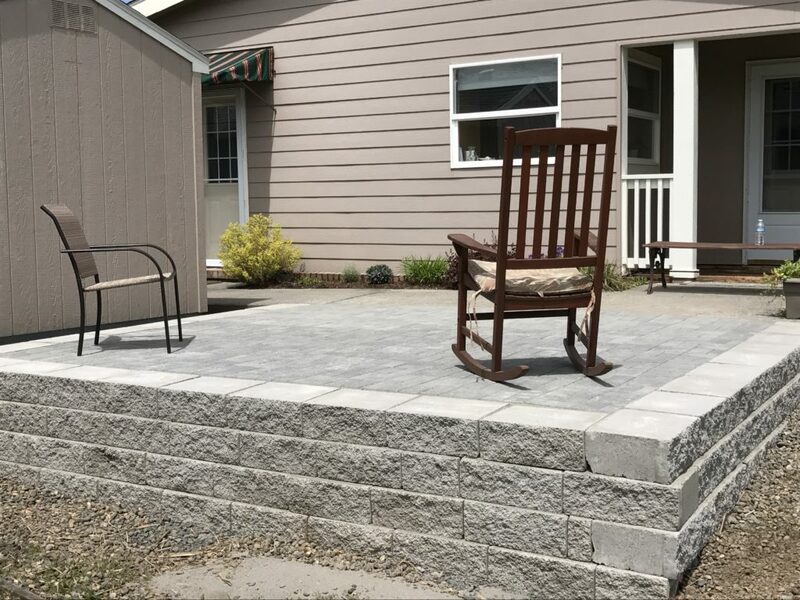 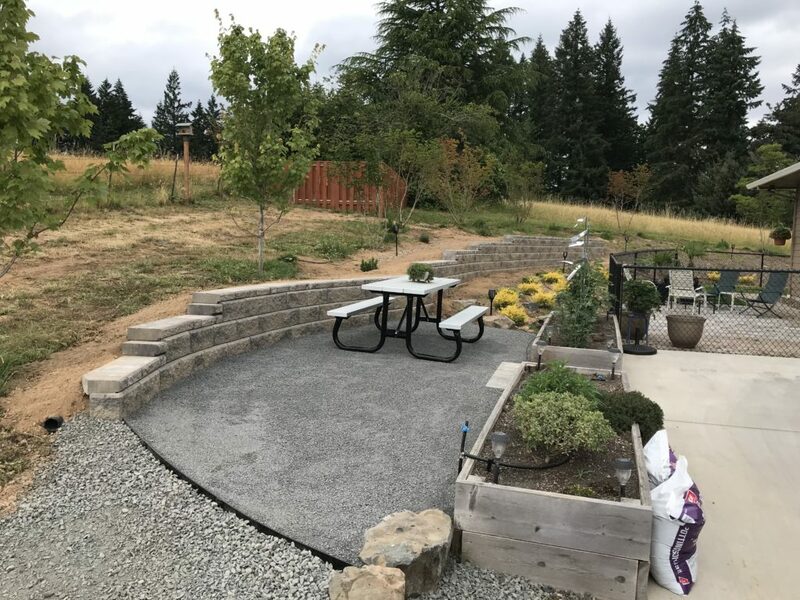 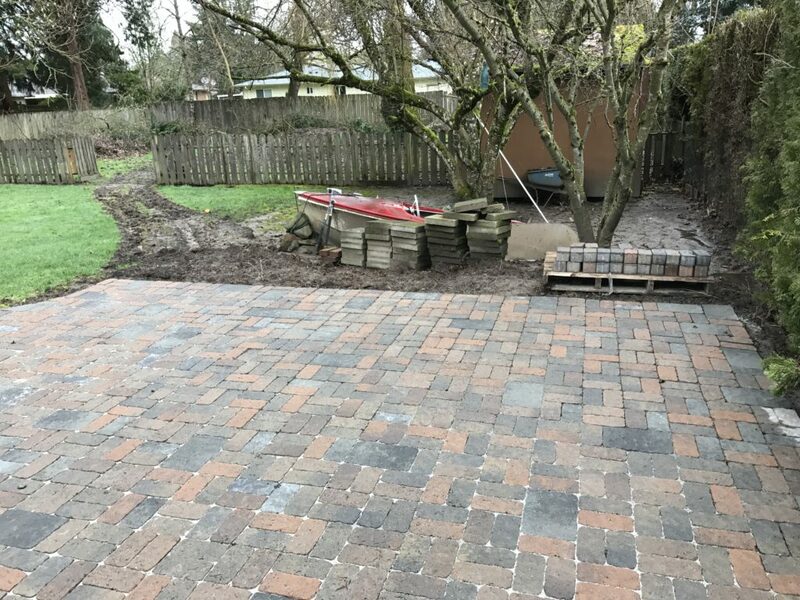 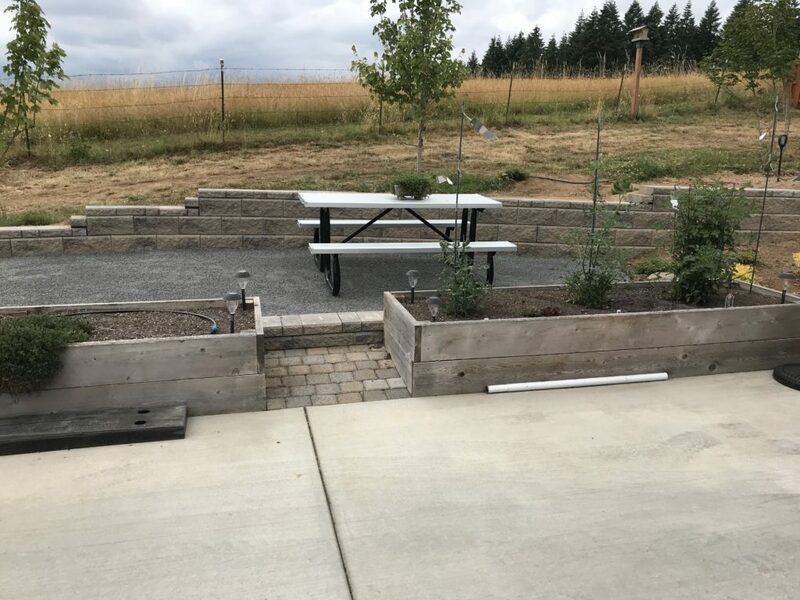 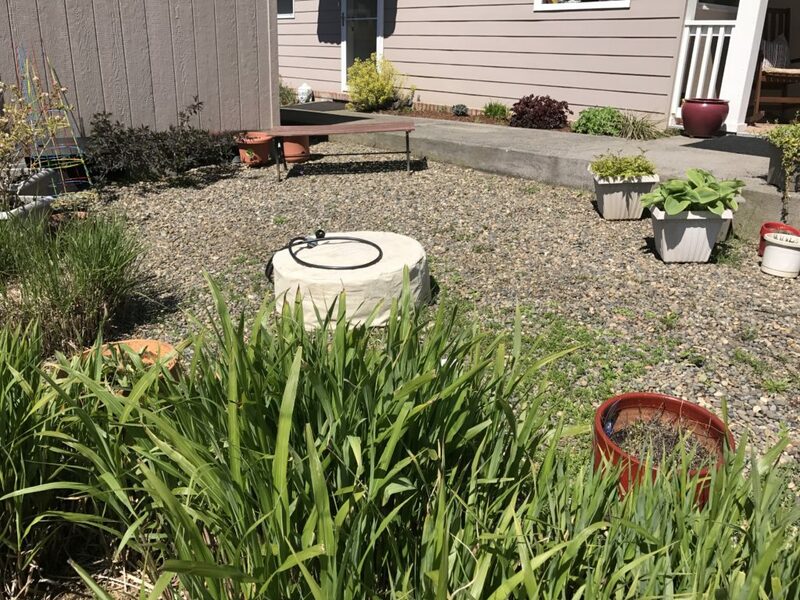 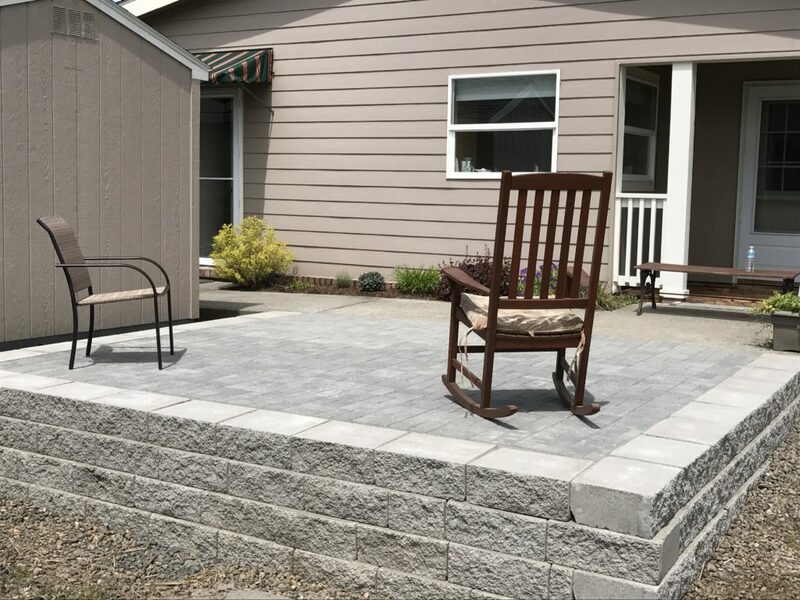 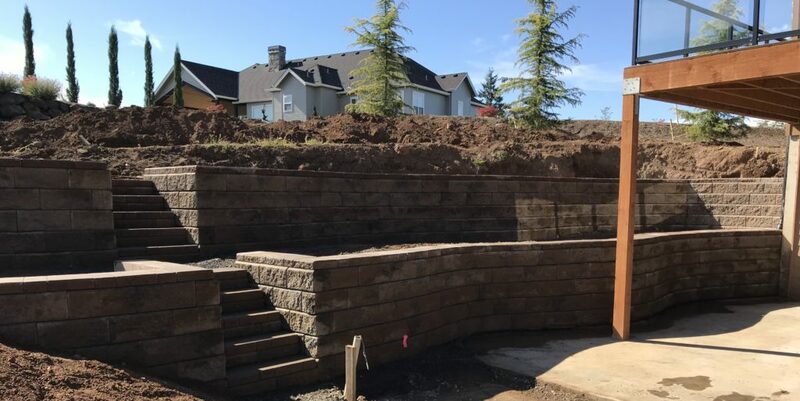 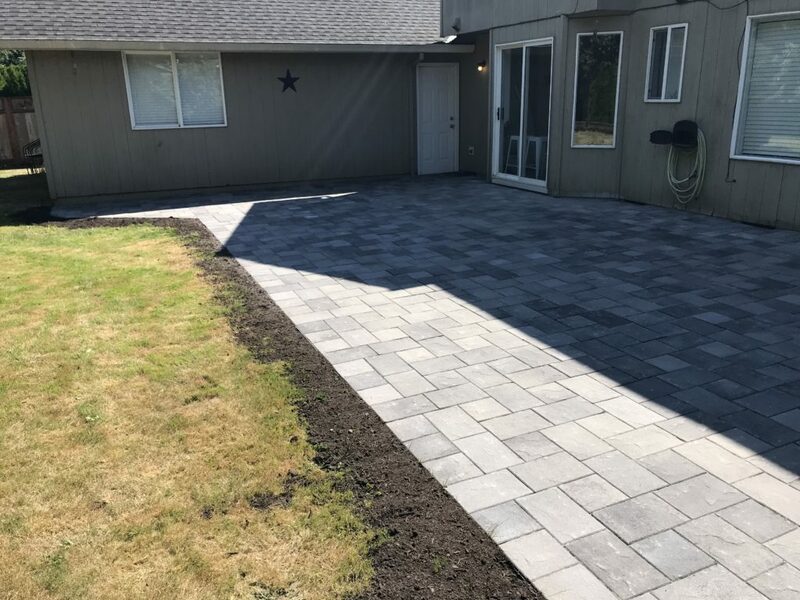 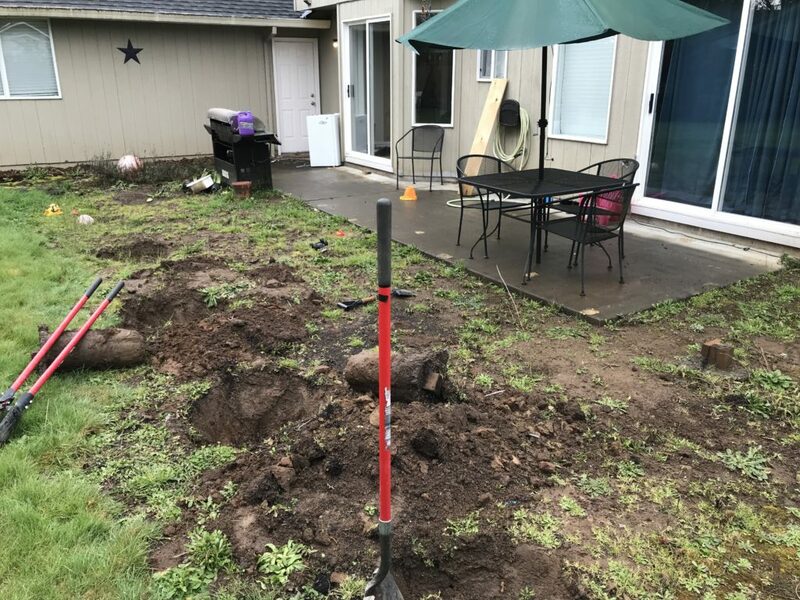 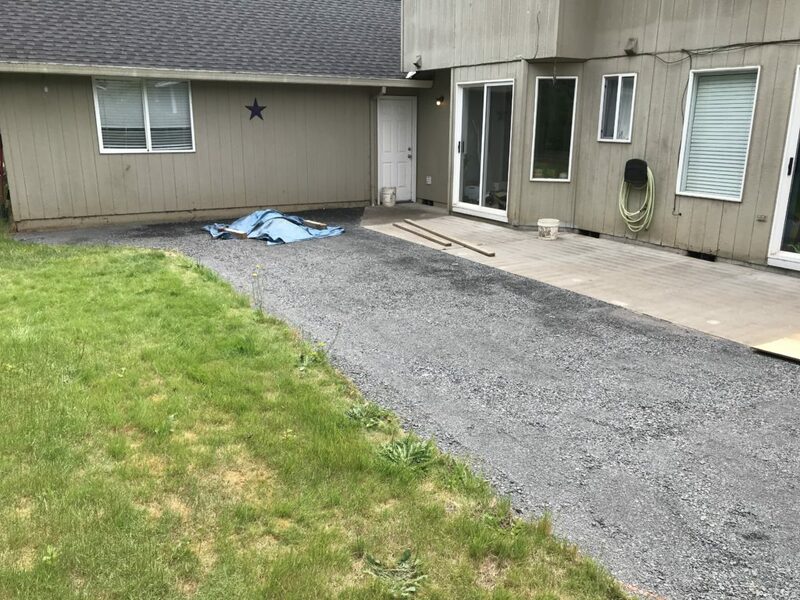 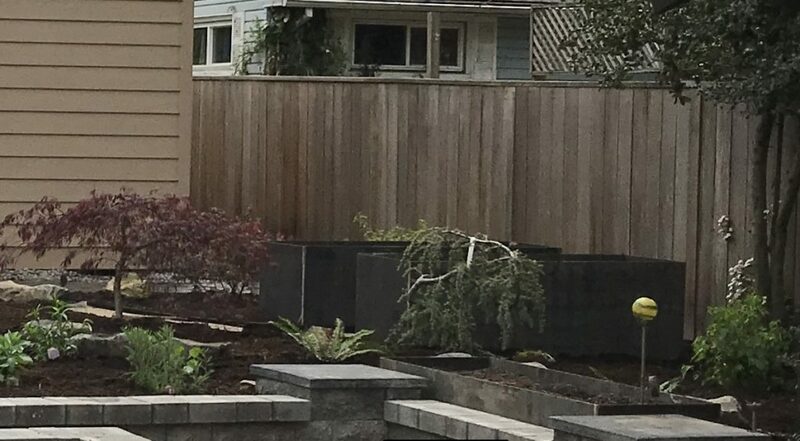 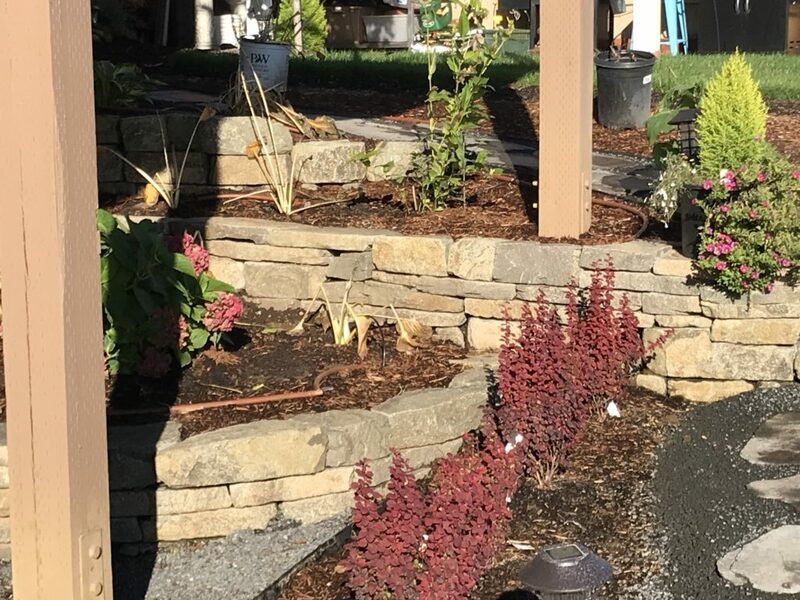 Existing concrete patio expanded using Oregon Block Fieldstone Pavers over the existing concrete and additional compacted base. 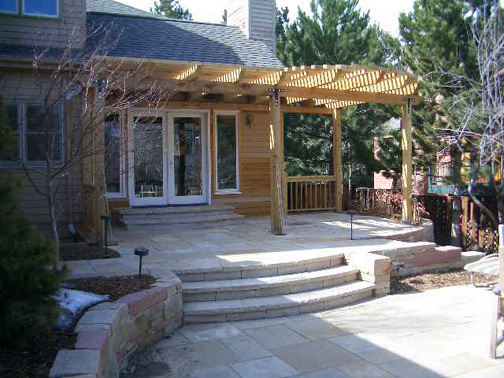 While the intention was to have a larger patio, the combined installation provides an all-one effect. 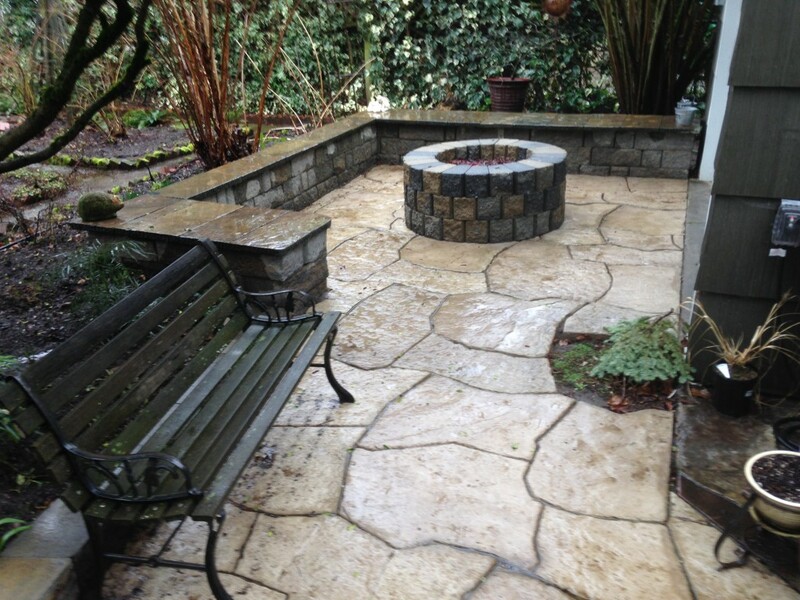 Existing concrete patio kept as is, new Fire Pit and Sitting Walls bring a whole new life and versatility to the area. 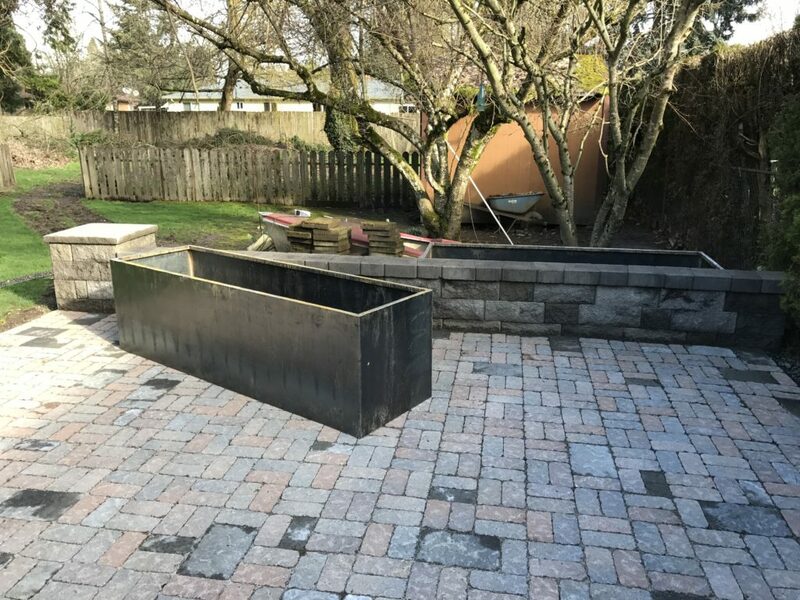 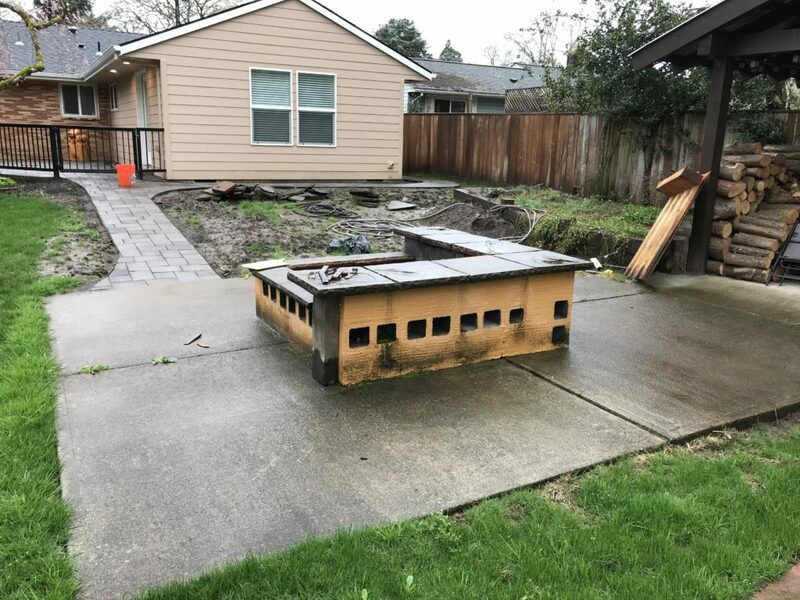 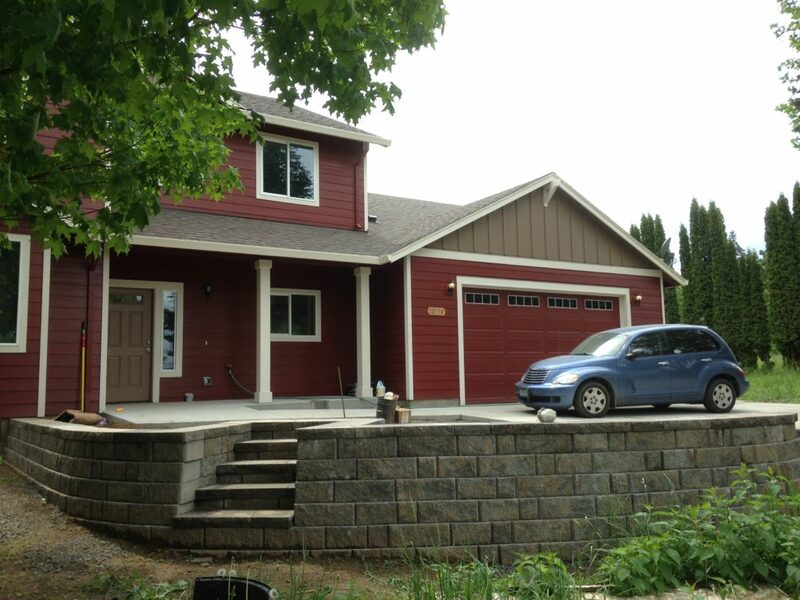 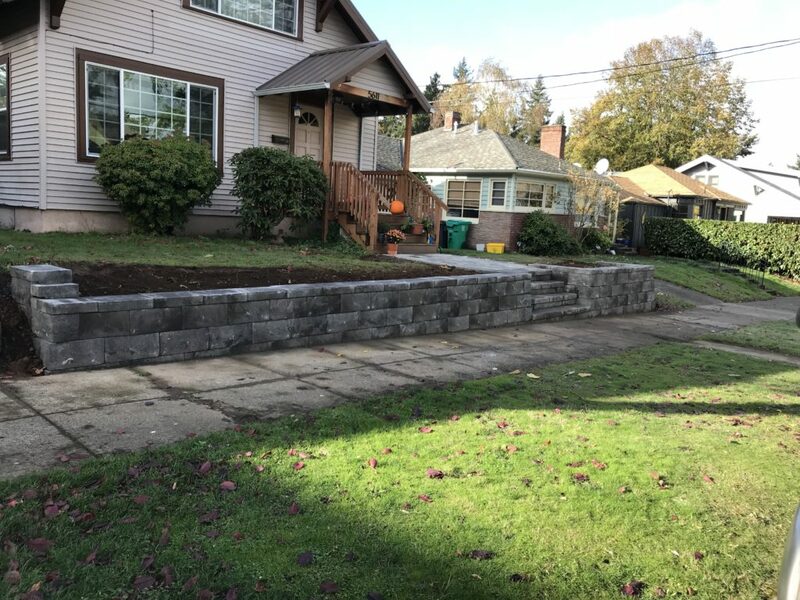 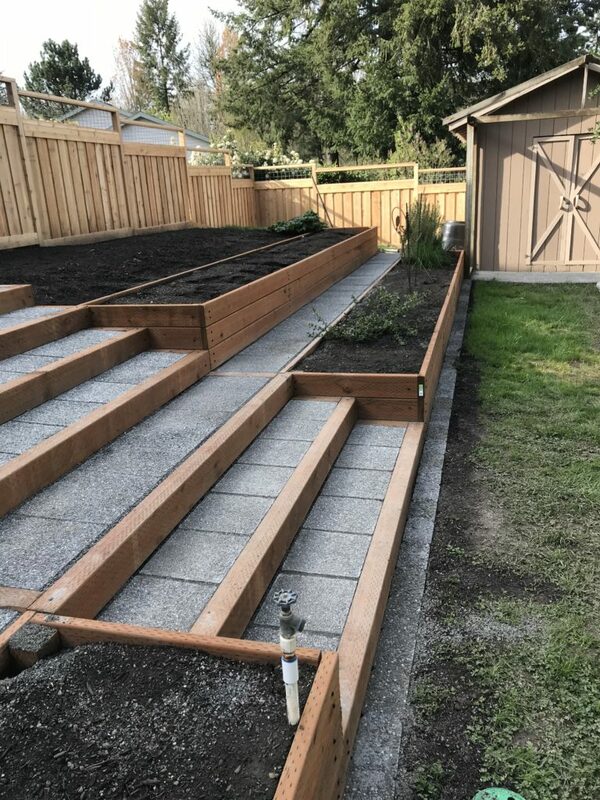 Raised patio, level with existing sidewalk, expanding the usable area. 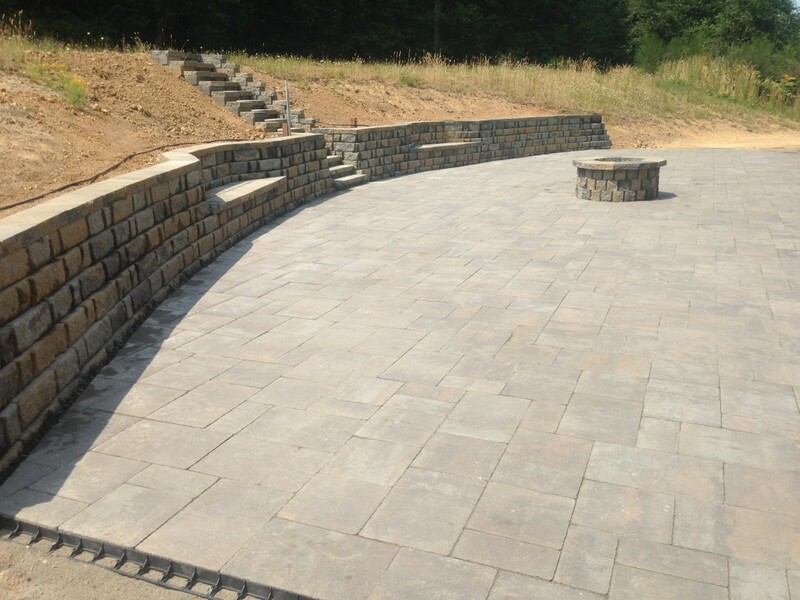 Holland Pavers supported with Manor Stone wall.